For DVD fans, you have collected many DVD discs with amount of money. Considering the frail DVD disc and limited playback times, or it’s hard to find a rare DVD disc, more and more people take action to protect DVD by using the DVD copy software to back up DVD collections. You can backup DVD to digital video format for saving on a hard drive or upload the NAS. When you rent a DVD disc from the DVD store or borrow the DVD disc from your friends, it may not seem like a huge difference. You don’t have the right to copy DVD to iTunes or your PC, it constitutes theft. Since you don’t pay any money for your DVDs, making backups is unreasonable. In general, no one at Apple or the FBI will care as long as you pay the money on DVD and copy DVD for your own personal viewing and storage. It’s legal. You can make many copies of the film onto blank DVDs, also you can use a DVD ripper to backup DVD to digital video formats which are easy to store, take and play. Here, you can try Pavtube BDMagic for Windows which is a professional DVD ripper and won’t let you down. When you can’t play the DVD on your DVD player due to the DVD region code, When you want to save the frail DVD disc, When you want to Play DVD movier on iPad without DVD drive, etc. This software all can satisfy your need. Best of all, this software also can work on Mac operating system well. 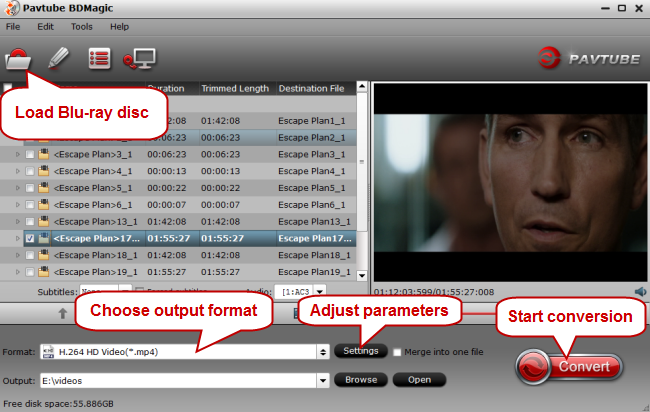 You can backup entire DVD which can keep the original DVD structure, like: chapters, audio tracks, subtitles, etc. Also you cna backup the DVD main title which won’t affect the DVD movie content. In addition, this DVD ripper provides various video formats for you, about 250+, like: MP4, AVI, MOV, WMV, MKV, etc. You not only can choose the video formats, you also can choose your desired devices for DVD playback, like iPad, iPhone, TV, Game console, or you can choose NLE software for DVD video editing. Read this review to open the magic DVD Ripper world. How to Rip and Copy DVD to iTunes? Step 1. Load DVD into the Program. Insert the DVD disc into your computer’s DVD drive. Open the program, click “File” menu, choose “Load disc” to import the DVD movie you want to rip to the program. In addition, you can load the DVD ISO/IFO image or DVD folder to this software, this DVD ripper can remove almost DVD protection, like: CSS, RC, RCE, APS, UOPs and Sony ARccOS, DVD region code, etc. Click Format button and choose your desired video formats that iTunes can support, like: MP4, MOV, M4V, etc. 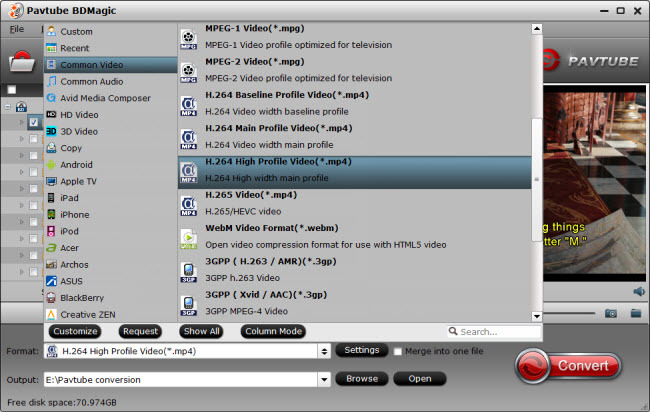 You can choose “H.264 HD Video(*.mp4)” from “Common Video”or “HD Video”. At the same time, you can choose the devices name, like “iPhone”, “iPad”, “TVS” etc. If you choose the H.264 MP4 video format, you can click the “Setting” and adjust the video codes as h.264, h.265, why? You will experience the 30x times DVD ripping speed when your computer is geared up a CUDA-enabled GPU with NVIDIA CUDA acceleration. This software takes full use of the advanced acceleration technology. After finishing all the settings, go back to the main interface, press the right-bottom “Convert” button to start DVD to iTunes conversion. When you are waiting for the result, you can watch the movie at the preview window. How to play Converted DVD movie on iTunes? 1. Launch iTunes. Make sure that you are running the latest version. 2. Import the video. Click the File menu (Windows) or iTunes menu (OS X) and select "Add File to Library" (Windows) or "Add to Library" (OS X). Browse for the converted video and select it. If you are using Windows and don’t see the File menu, press the Alt key. 3. Click the "Movies" button. This is located in the row of buttons along the top of the iTunes window, and looks like a film strip. 4. Click the "Home Videos" tab. Any movie you import will be added as a "Home Video". NOTE: If you don’t see the video that you just imported, it wasn’t properly converted to an iTunes-compatible format, you can use a video converter to convert video to iTunes supported video formats. Tip: Move the video to your "Movies" or "TV Shows" library. It can be difficult to find the video you want if they’re all sorted into the "Home Video" library. Moving them to the proper spot will make it easier to watch or sync the videos later. 5. Finally, you can play the video on iTunes or sync the videos to other devices. Actually, copy DVD is not as difficult as you image, you pay the money for your DVD, you can copy DVD to iTunes for playback, upload DVD to NAS, save DVD to USB, external hard drive, etc. Your DVD discs, it’s decided by you. How to Add MP4 Files to iTunes Library? Fail to convert Music DVD and Family Movies to iTunes? 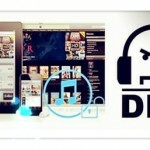 Why Doesn’t iTunes Support FLAC Encoding?